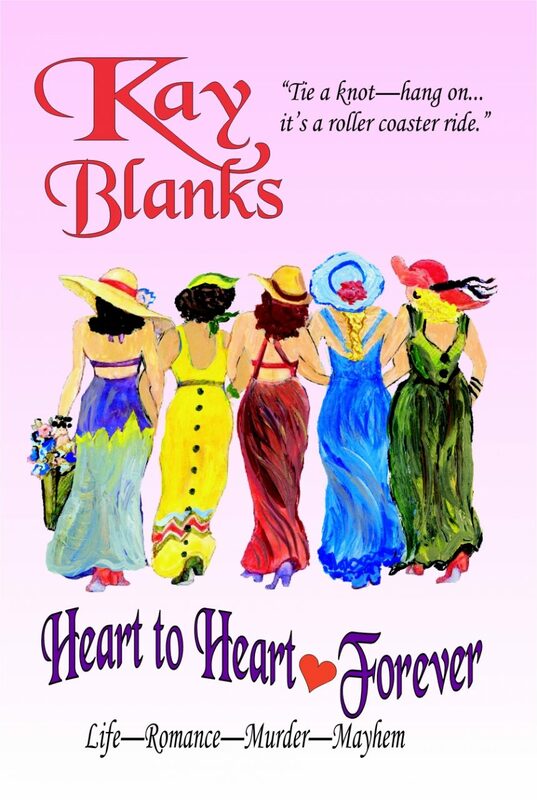 Fun read from Kay Blanks about a business woman and her very involved life. Romance and adventure! Five women. Fifty years. And it’s still the heart-to-heart chats that keep them sane. With the upcoming fortieth high school reunion and a new scandal with an old husband, the gals are sure things can’t get any more bizarre. Then an old flame shows up at the reunion and the buzz begins. But that’s not all. When one of the ladies is accused of murder, the Heart to Heart gang links together as never before. You’d better tie a knot and hang on; it’s a rocking roller coaster ride! Kay Blanks writes as she speaks, from the heart. Born during the forties in Tyler, Texas, and raised without the luxury of television, Kay learned early on to rely upon her huge imagination. Long days in the movies during the golden age of Hollywood sparked her ability to spin a yarn. She and her husband James reside in the Rockwall community just east of Dallas, where he owns and operates a retail business; Kay has enjoyed twenty successful years in the real estate industry. She is gifted in many creative pursuits, including painting and interior design. Kay and James share five grown children and seven grandchildren. Their three small dogs, Puddin Tain, Gizmo Fudge and Cookie Le Creme, live a life of luxury, prompting folks to ask, When I die, can I come back as your dog?